Dr. Modanlou is a native of Southern California. He completed his undergraduate studies at Duke University where he graduated with distinction with a degree in biology. He returned to his home state for medical school and graduated from the University of California, Davis, School of Medicine. Dr. Modanlou then moved to Denver where he completed his residency in general surgery at the University of Colorado Health Sciences Center. He then went on to Chicago where he completed a fellowship in Abdominal Transplant and Hepatobiliary Surgery at Northwestern University. After stints at Saint Louis University and the University of Tennessee, Dr. Modanlou was fortunate to move back to Denver in 2015 to be the Surgical Director of Transplant at Porter Adventist Hospital. In 2018 he decided to join Dr. Eric Kortz to help him expand the Complex Gastrointestinal Surgeries Program at the Center for Diseases of the Liver and Pancreas at Swedish Medical Center. 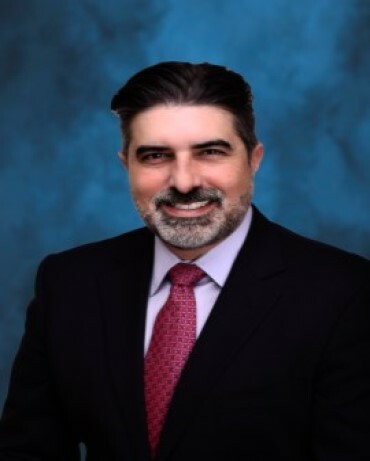 Dr. Modanlou’s professional interests include all aspects of general surgery and complex problems of the liver, bile ducts and pancreas including minimally invasive techniques. He strongly believes in a multidisciplinary approach to complex medical problems and personalization of the patient experience. Dr. Modanlou is married and has two very active sons. His entire family loves all that Colorado has to offer and enjoys skiing and outdoor activities. During his downtime, Dr. Modanlou loves cooking and traveling.